BONTOC, Mountain Province –The schedule of the special Sangguniang Kabataan (SK) election ordered by the Department of Interior and Local Government (DILG) to fill up vacant youth council posts in this municipality is all set. In compliance to DILG Memorandum Circular No. 2018-212 issued on December 20, 2018 for the conduct of special SK elections, it will be conducted depending on the convenient dates chosen by the concerned barangay SKs. This was relayed by Municipal Local Government Operations Officer V Jill Fa-ed during the regular Monday Flag Raising Ceremony and 2018 Peace and Order Assessment on January 7 and January 8, 2019, respectively at the Bontoc Municipal Capitol. In Bontoc, she said only Barangay Maligcong has a complete set of SK officials while the remaining 15 barangays have either no SK Chairperson or incomplete SK members. 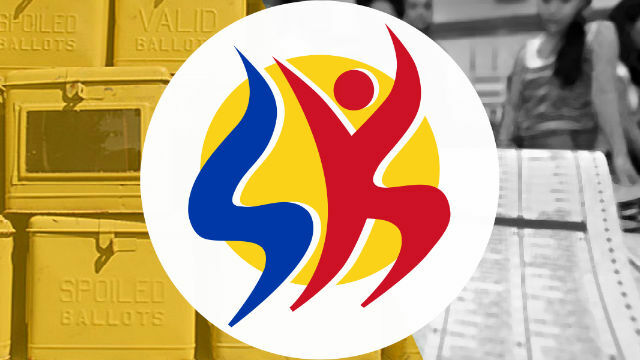 The schedules of special SK elections in other barangays of Bontoc are: Alab Oriente- and Alab Proper – January 27, 2019; Bayyo – January 20, 2019; Balili – January 21, 2019; Bontoc Ili – January 26, 2019 ; Caluttit – January 15, 2019; Can-eo – January 11, 2019; Dalican – January 13, 2019; Guina-ang – January 16, 2019; Gonogon – January 14, 2019; Mainit – January 16, 2019; Samoki – January 18, 2019; Talubin – January 12, 2019; Tocucan – January 27, 2019; and Poblacion – January 30, 2019. Fa-ed added that five days before the conduct of special elections, the barangay secretary should post notices on the date, venue, and time of the SK elections. It shall be posted at any conspicuous or designated public place such as but not limited to the market vicinity, barangay hall or plaza, the church area or public school. Also, the barangay secretary is in charge of the registration to determine the qualified voters and candidates. Apart from this, the exact number of vacant positions to be filled–up through the special elections shall likewise be clearly specified in the notice. Those qualified to register are 15 to 30 years old while only those aged 18 to 24 years old can run for a position, according to Commission on Election (Comelec) rules. The election process shall be through nomination and the voting shall be done by secret ballot. The composition of the Board of Election Supervisor (BES) still be composed of a DILG Officer (MLGOO) as Chairperson with officials from the Comelec, and a representative of a non-governmental organization or civil society organization.